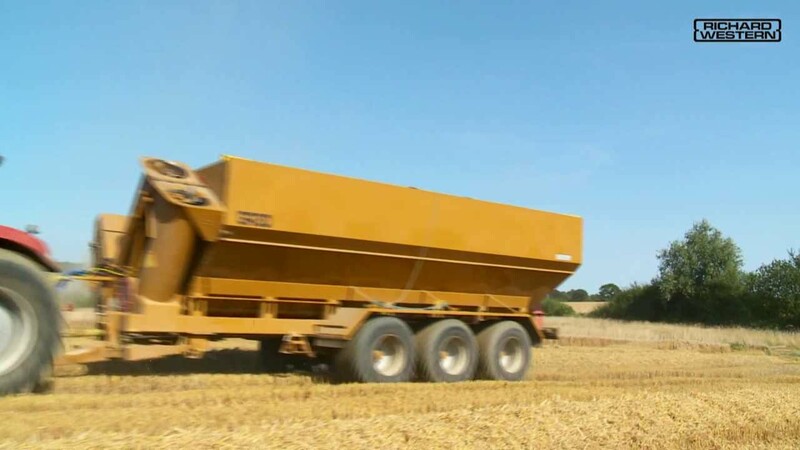 The harvest chaser bin is designed for high output combine harvesting with impressive standard features, giving you maximum operating efficiency while minimising ground compaction using low ground pressure tyres. The variable height and reach auger with direction control on the hood gives you flexibility and efficiency when unloading. The low centre of gravity provides excellent stability when operating on sloping ground or towing at speed. Available in 20 and 25 tonne models. The bins run on tandem or tri-axles with mono leaf spring suspension and a sprung drawbar. Choose from one of two models: the tandem axle GRS20 with rear steering axle, or the GRS25 with front and rear steering axles. Air and hydraulic brakes with load sensing valves.